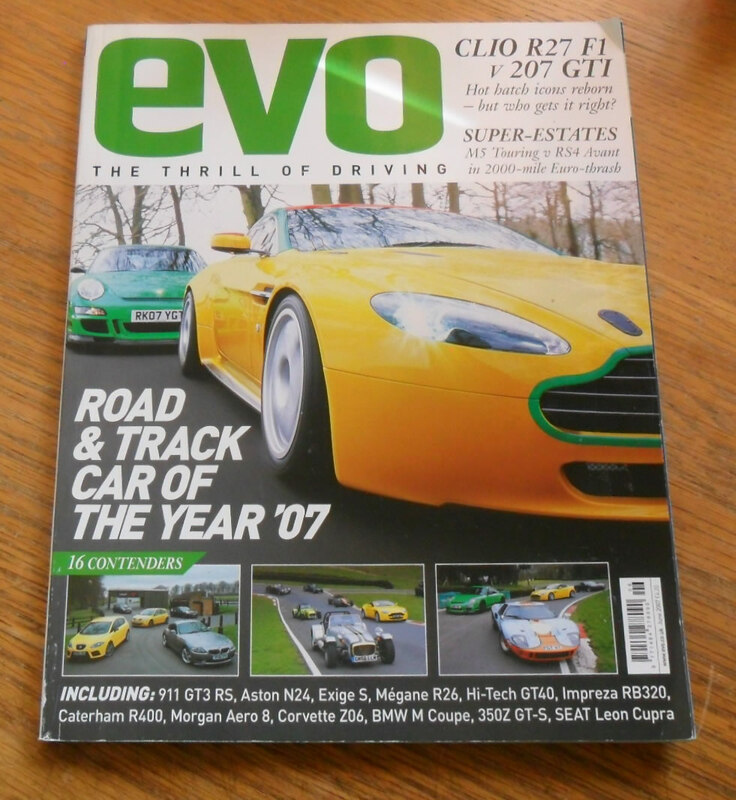 Issue 105 of the British Magazine, EVO. Each issue has a va riety of features, car road tests, mechanical how-tos and articles about high performance, classic and collectors cars. The cover feature for this issue is the road and track car of the year 2007.